Whether it is a winter cold or spring allergies, we all suffer from congestion and sinus troubles from time to time. 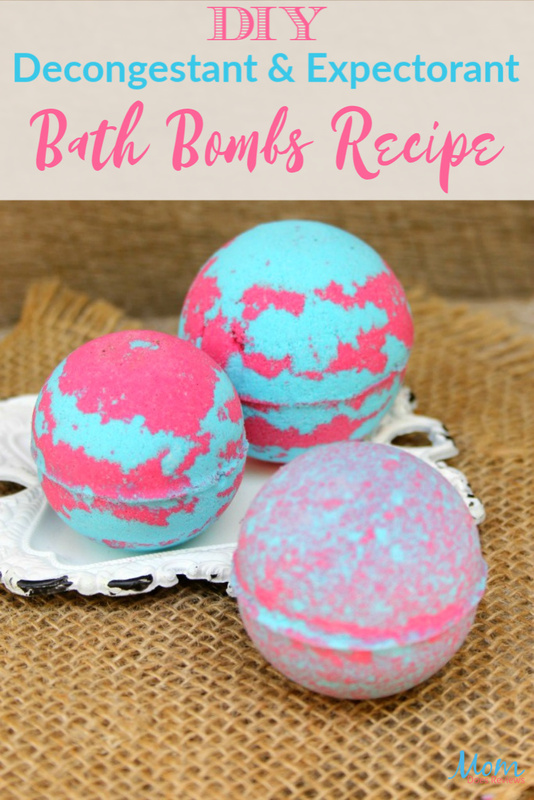 One of the best ways to clear your head and congestion is with these DIY Decongestant & Expectorant Bath Bombs! 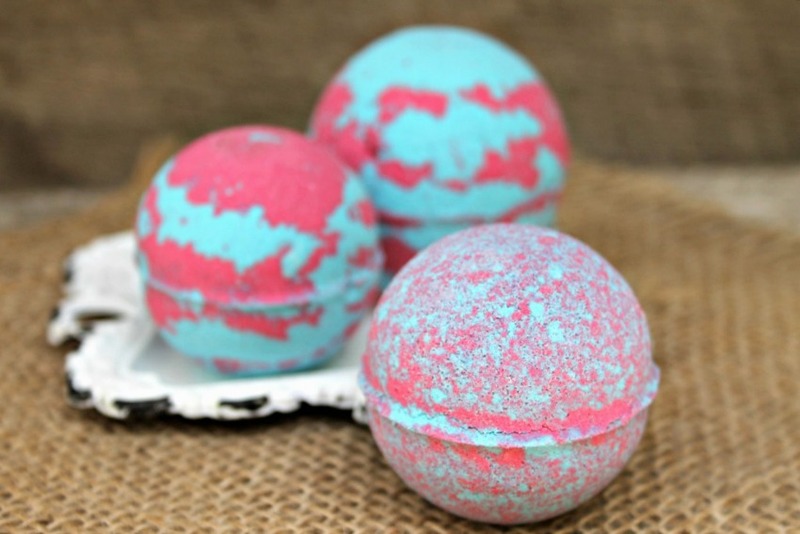 They are easy to make and are a wonderful way to clear the congestion while relaxing in a warm bath! 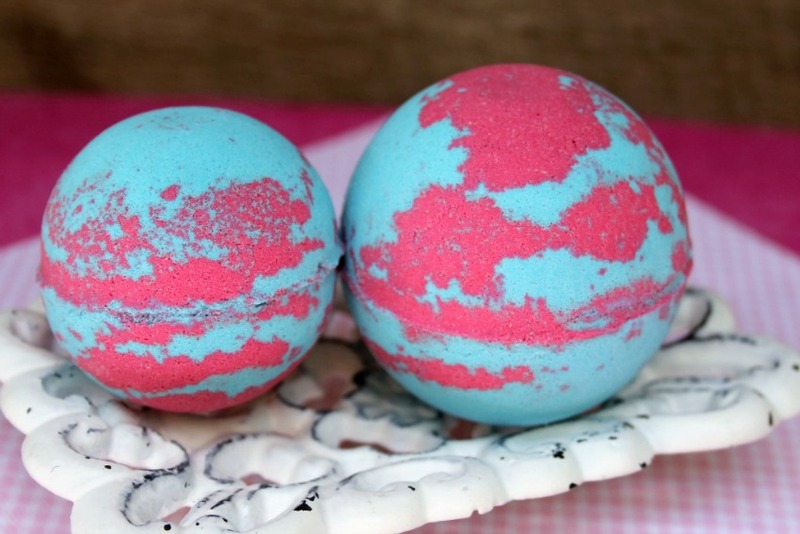 If you are a lover of essential oils and bath bombs, be sure and check out our Moon Press Bath Bombs with Essential Oils! 5-10 drops tea tree essential oil has great antimicrobial properties and helps to clear congestion and ease your cough and other respiratory symptoms. 5-10 drops eucalyptus essential oil, which works great as an expectorant. 5-10 drops thyme essential oil has wonderful antiviral properties and works as a decongestant. In a glass bowl, add baking soda, cornstarch, citric acid and cream of tartar. Add coconut oil to dry mixture. This helps bind the ingredients together. Mix liquids into dry mixture using a whisk, spoon or your hands. Add in mica powder. If you are doing more than one color, split the mixture evenly. We did two colors; raspberry pink and blue. Add in the rubbing alcohol to the mixture, one tablespoon at a time until desired consistency. When mixture holds together in your hands, it is ready for the molds. If it doesn’t hold together, add a bit more alcohol until it does. Add mixture into the molds. If using more than one color, add a bit of one, then a bit of the next, etc. until the molds are full. If the mixture begins to dry out as you work on adding to the molds, spritz with rubbing alcohol to wet it until it forms in your hand again. Press molds together. Tap top and side gently and release bomb from the mold. Allow to dry overnight. 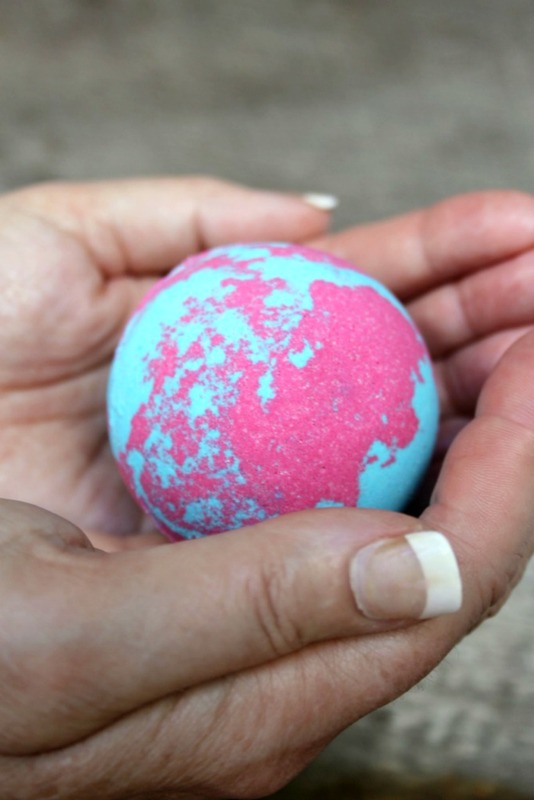 Drop one bomb into bath when head, sinuses or chest feels congested. Add in the rubbing alcohol to the mixture, one tablespoon at a time until desired consistency. When mixture holds together in your hands, it is ready for the molds. If it doesn’t hold together, add a bit more alcohol until it does. Press molds together. Tap top and side gently and release bomb from the mold. Allow to dry overnight. 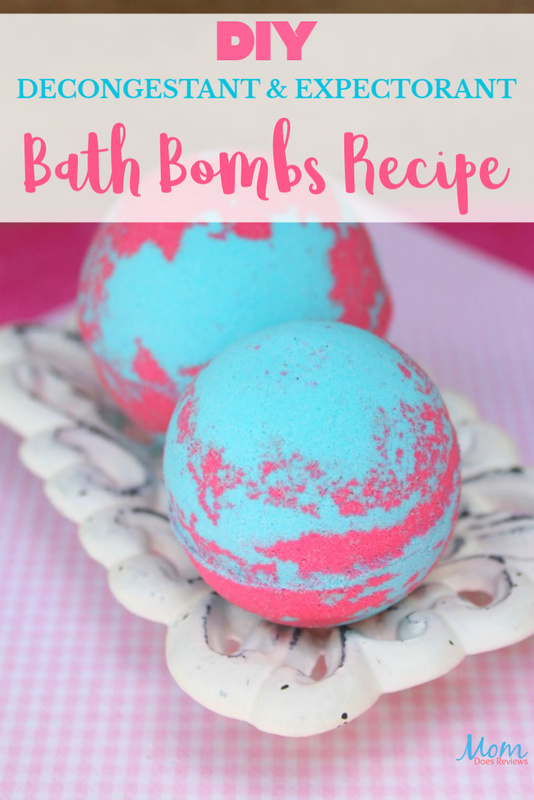 Drop one bomb into bath when head, sinuses or chest feels congested.